Some specific food sold in shops makes us find a season has come. 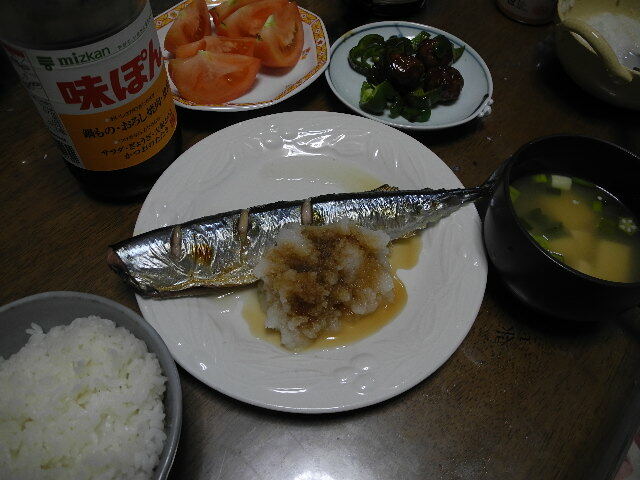 When Autum is about to come, Samma, Pacific saury should be the parfect example. Samma, which is described as Autum sword-shaped fish in Kanji-chalacters, is very popular fish in Japan, thanks to its exellent taste, fatty meat and reasonable price. 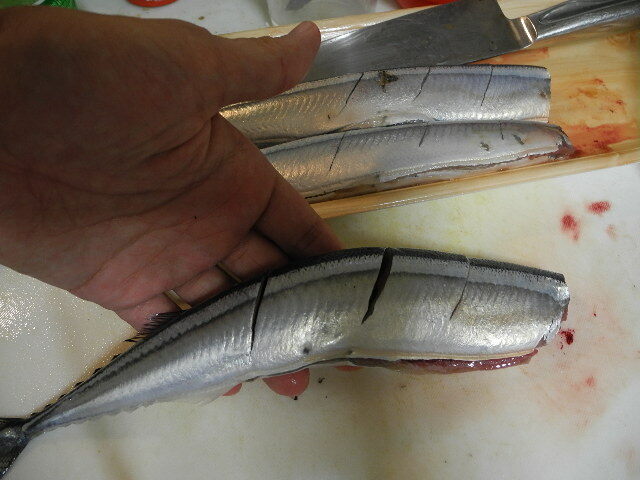 Now, take a look at the way to cook Pacific saury in my kitchin. (1)Cut the head at the gills. 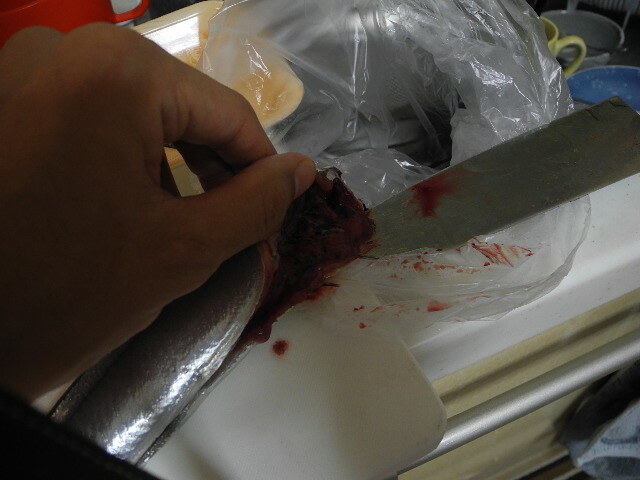 And, make a slit under the stomach from the vent to the mouth....sorry, I had cut it. Then, scrape out gut into a plastic bag, which makes it easier to clean up. Some Japanese like the gut, although it tastes somehow bitter. Briefly rinse the skin and inside of the stomach. Just remove blood drops. Make some slits on the skin. Not vertically but in the same direction. They make it easier and shorter to gril fish. Grill it for 3 munites each side. 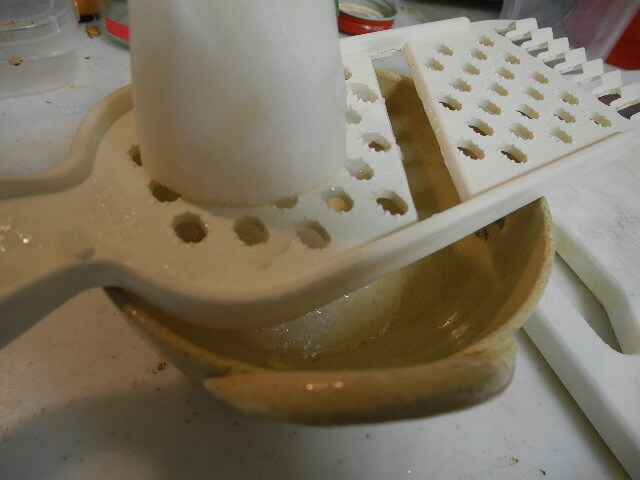 While grilling, grate a radish. And it should be served with PONZU-source. 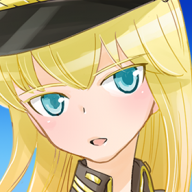 By the way, what ponzu mean? You should ask the question even if you are not Kaibara Yuzan, a crazy gourmet mania. The word "Pon" comes from a Dutch word which means "citrus". Zu or su means vineger. 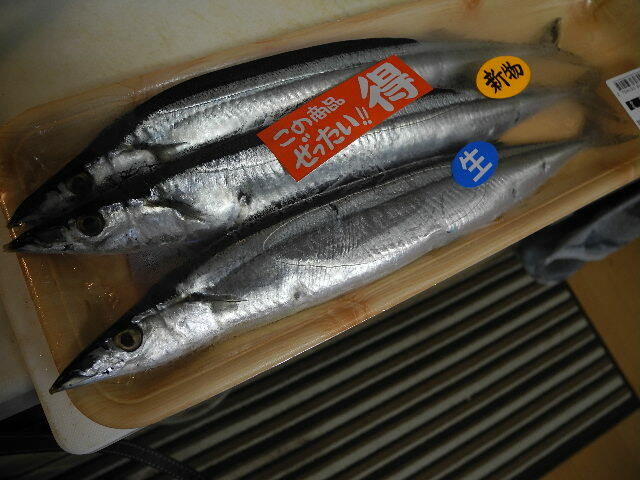 Its citrus flavor makes fatty Pacific saury more plain. Grilled Pacific saury with grated radish, miso soup, rice, and cut tomato and cucumber pickles.